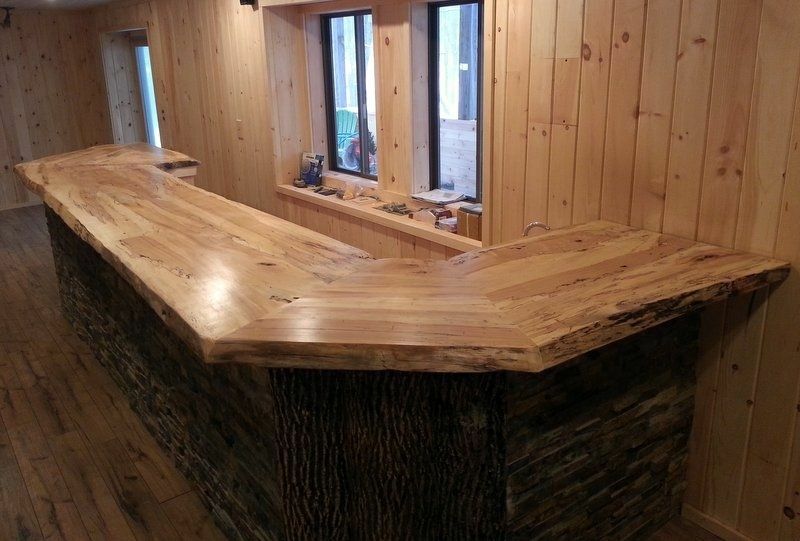 This bar counter was made for a customer who'd been left in the lurch by another contractor. 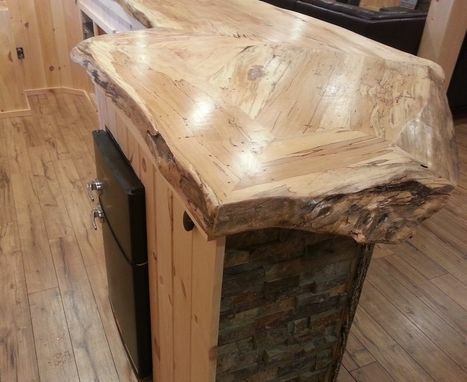 It is made of 2-inch thick spalted maple with live edges all around. It is mitered on the corners with the live edges blended into each other to form a natural and pleasing contour. The customer contacted us just a few weeks before their holiday parties in a panic because their contractor had walked out. 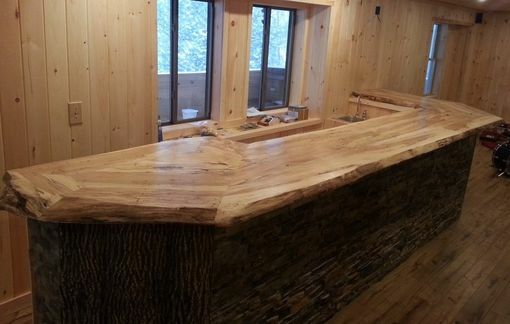 We were able to source the maple, fabricate the counter and have it installed in time for their New Year's Eve party!